Ron Williams is on Rezilir Health™’s Board of Advisers. 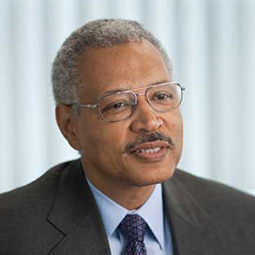 A veteran business leader and an expert in value creation; Ronald A. Williams is Chairman and CEO of RW2 Enterprises, LLC, as well as active in private equity and a director to several corporate boards. The former Chairman and CEO of health insurance giant Aetna Inc., Mr. Williams now focuses his energy on strategy, values-based leadership, public-private partnership and health care transformation. Through his firm, RW2 Enterprises, Mr. Williams counsels senior corporate executives on strategy and transformational leadership. He is Operating Advisor to private equity firm Clayton Dubilier & Rice LLC; a Director of American Express, The Boeing Company, Johnson & Johnson and Envision Healthcare; and a member of Deutsche Bank’s Americas Advisory Board. He was appointed by President Obama to the President’s Management Advisory Board. Mr. Williams became president of Aetna in 2002 and CEO in 2006. Under his leadership, Aetna was named FORTUNE’s most admired company in the Health Care: Insurance and Managed Care category for three consecutive years. In 2011, the year he retired, Aetna’s revenues were $34 billion, and the company was ranked 77th on the FORTUNE 100 list. Mr. Williams is a member of the MIT Corporation, vice chairman of The Conference Board, and a member of the President’s Circle of National Academies. In 2013, he was elected to the American Academy of Arts and Sciences and became a trustee of the Committee for Economic Development.